To find machine, walk straight back from main entrance. In the corner, kind of hidden. 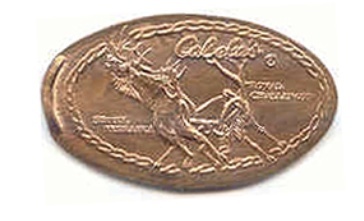 Design says "Cabela s" . "ROYAL CHALLENGE" "KEARNEY, NEBRASKA" Two elk in middle fighting. thegillion added Cabela s to system.